CHILLIWACK, BC – Old Yale Brewing has announced the release of the latest in its Trailblazer Series of single batch limited edition beers. Double Maple Amber Ale is an ode to our home and native land; Canada. We smothered a classic Amber Ale in sweet maple syrup and aged it with maple hardwood, giving it notes of cinnamon and nutmeg. A truly Canadian beer, eh? 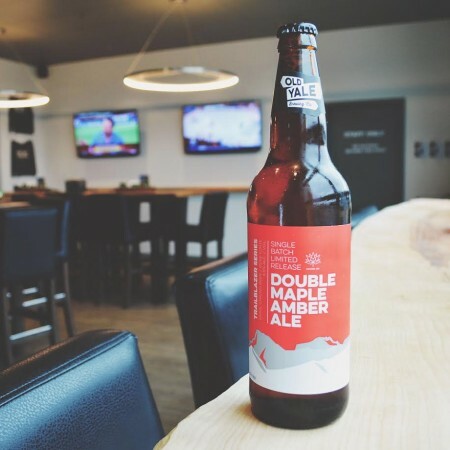 Double Maple Amber Ale is available now in 650 ml bottles at the Old Yale retail store and private liquor retailers in British Columbia, and on tap at select bars and restaurants in the province.